Also known as the Fatherland site, the Grand Village of the Natchez Indians is one of Mississippi's most significant prehistoric sites and a must-see on the Mound Trail. An excellent on-site museum houses artifact exhibits from excavations at the site as well as a gift shop. The museum also hosts a lecture series focusing on the history and archaeology of the Natchez region, and the Natchez Powwow is held at the site each spring. Visitors can walk to each of the three earthen mounds as well as a reconstructed Natchez Indian dwelling. 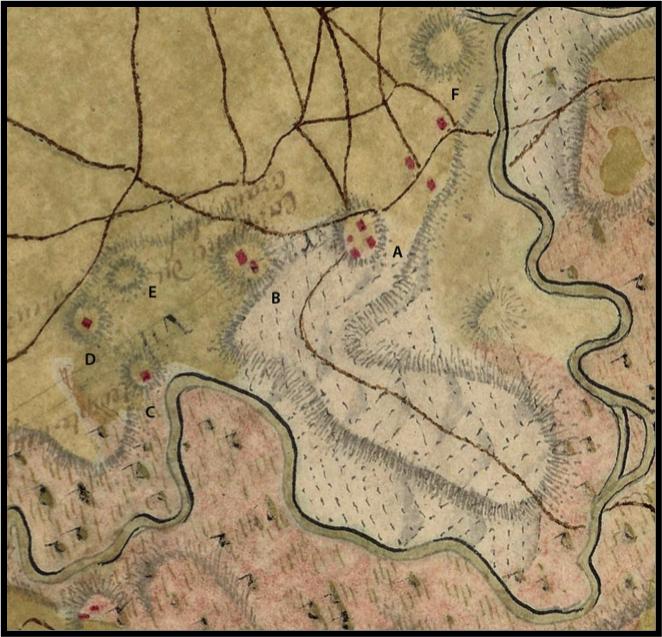 According to a map made in 1723 by Ignace-François Broutin, the Grand Village originally had at least six earthen mounds. French sources tell us that four of these were in use during the 1720s, while two others may have been abandoned by that time. Mounds A, B, and C are still visible, while the other three were destroyed sometime during the mid-19th century by levee construction and erosion. Archaeologists have determined that the mounds were built during the Plaquemine Period, beginning around AD 1350, though people were living at the site by AD 1200 or earlier. Beginning around AD 1500, the Grand Village was the principal town and capital of the Natchez chiefdom and home to its most important political and religious leaders, including the Great Sun and his brother, Tattooed Serpent, who were encountered by the French in the early 18th century. Of the original earthworks, Mounds A, B, and C remain. Mound A has been eroding into St. Catherine Creek since the early 20th century or earlier and all that remains of it is a small rise. Broutin's map indicates that it had multiple buildings on its summit at the time the map was drawn. The function of the buildings is unknown. Pottery recovered from the mound also indicate that it was occupied until the early 18th century. Two buildings on the summit of Mound B were identified on French maps as the residence of the Natchez chief or Great Sun. This has been corroborated by professional archaeologists, who excavated the mound in the early 1960s. These excavations revealed that the mound was built in four stages and that each mound stage had a chief's house on its summit. The final stage of Mound B contained European trade goods. Mound B has been restored to its original dimensions. Mounds C and D were identified by the French as temple mounds. Mound D, the "old temple," was never investigated by archaeologists and has now disappeared. Mound C, the "new temple" was excavated in the 1930s. Like Mound B, Mound C was also constructed in four stages, with the two latest stages supporting structures on their summits. In addition to the temple buildings themselves, archaeologists found evidence of elaborate mortuary ritual, including many burials as well as pottery and other grave goods. Mound C has also been restored to its original dimensions. 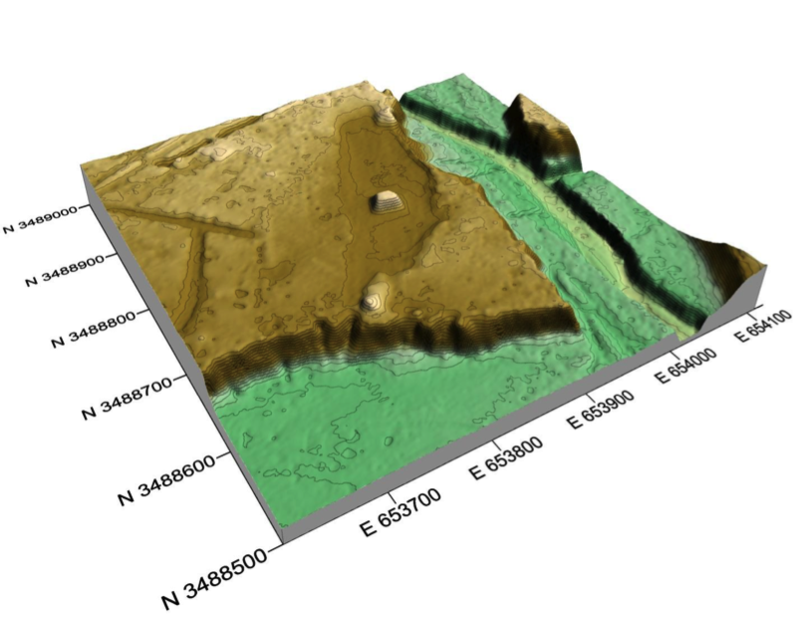 Very little is known about mounds E and F, which are visible on Broutin's map, but had disappeared by the time archaeologists began excavating at the site. The village portion of the site, located between Mounds B and C, was excavated during the 1970s. It is represented archaeologically by four areas of superimposed residential buildings as well as a 6-inch accumulation of household refuse. 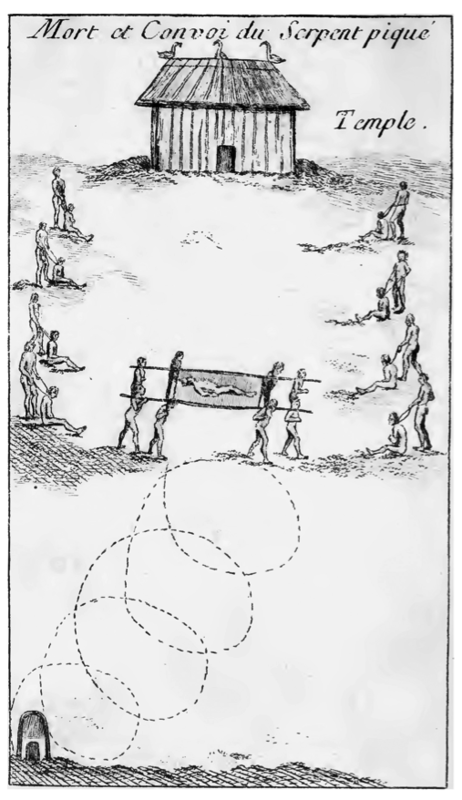 Archaeologists speculate that one of the buildings was the residence of an important person such as the Tattooed Serpent, whose elaborate funerary rites were observed by the French in 1725. The Grand Village was abandoned by the Natchez in 1730 when the French and their Choctaw Indian allies laid siege to the village. In recognition of its outstanding cultural and historical significance, the Fatherland site has been listed on the National Register of Historic Places and designated a National Historic Landmark by the U.S. Department of the Interior.